Used to be one of my favorite snacks. But unfortunately made this after a long time. 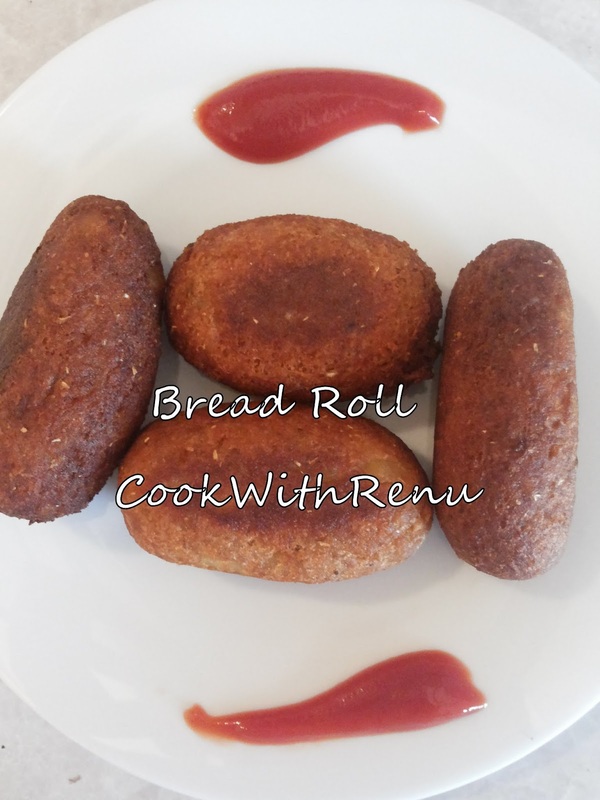 Simple combination of potato and bread makes a yummy and a quick snack. This can be done quickly, so when you have sudden guest you know what to make. I have at times even filled this with cheese or vegetables. The hot cheese oozing out of the bread roll is simply yumm. Boil the potatoes and let it cool. Add the masala’s and mix it. Soak the Bread in water and immediately remove it. Squeeze with both your hand’s to remove the water. Mix it evenly in the potatoes mixture. Do not roll all the mixture, more bread might be required after you are done with 1-2 batches. Once the oil is hot, add one of the bread roll. If the roll does not break , then add the remaining bread rolls. If the bread roll breaks, add more bread and again repeat the process. Fry until golden brown and serve hot with tomato ketchup.